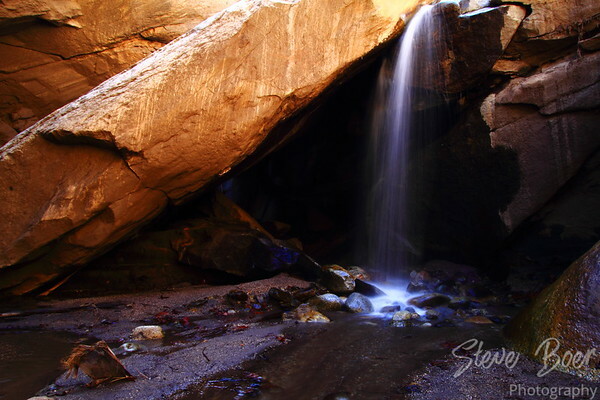 This waterfall at the end of a 2 mile hike in Murray Canyon is random number photo 3402. It’s part of the Indian Canyons area by Palm Springs. It’s not a very big waterfall, but I liked how it looked with the almost-cave behind it and the shape, size, and colour of the large rocks.